Snapshot: Do You See What I See? Driving in Niamey is quite an adventure. I often say that I wish my eyes were cameras because everywhere I look there is something unusual or interesting to see, and I want to capture it all! I just went through my photos that I’ve taken since our arrival in January, to give you a glimpse of what we see each day. Cattle. Let me remind you, friends, that this is the capital city of Niger! You might be thinking – Oh! A handy place to buy liquor on the side of the road! Nope. These bottles are full of gasoline. Carts like this are everywhere along the roads. Yes – billboards! This one is funny because it is advertising a rich drink that people should enjoy during the month of Ramadan. 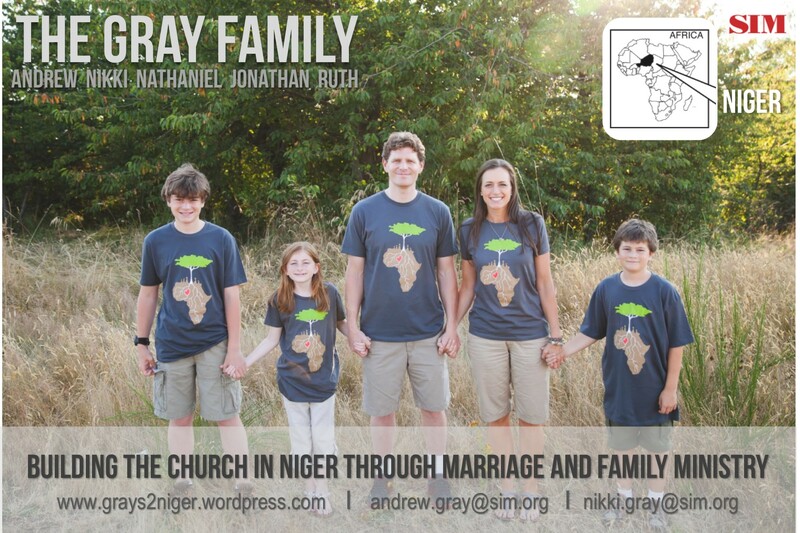 There are many advertisements that make us all laugh because they depict a life that is so far from the realities of life in Niger – people in normal western-styled clothes with American-style houses, etc. I often wonder who makes these decisions? I’m not usually fast enough to catch photos of the many sights of what people are carrying on their motorcycles. Animals, rebar (long metal poles for construction), entire families, large wooden doors…the possibilities are endless! Here is a lady with her baby on her back simply wrapped with a cloth. At least she is wearing a helmet! Construction! But the techniques here might make you cringe. I personally have two uncles whom I know would take an interest – yikes! – in the scaffolding used to build these buildings too! I took this photo last week – it is a coming dust storm! This is a main road here, and I was stuck in traffic as the storm approached. Ruth took this out the side window! Besides the storm, you can see lots of garbage – little black plastic bags and other garbage is everywhere, unfortunately. I took this photo is 2013 – but you can see the hippos are RIGHT THERE next the bridge and the city! Shops. Here is Andy leaving one of our local shops we frequent. This one specializes in electronic stuff, garden stuff, cords, and the like. These small “shacks” are everywhere. Part of our cultural adjustment is simply learning where these shacks are located and what they each specialize in. This is a Tailor’s shop (One of our photos from 2013). This is not the best picture of a bush taxi, but I remember this one because I thought for sure it was going to tip over! I have MANY pictures of these little vans stuffed with people and their belongings. I took this one in 2012 – we were traveling to the Eastern part of Niger. How about those roads!? Camels! It is still so interesting to see these animals around the city! I know I left out so many things. Goats and sheep roaming everywhere. Chickens. Beautiful people walking and talking. Children playing. LIFE.